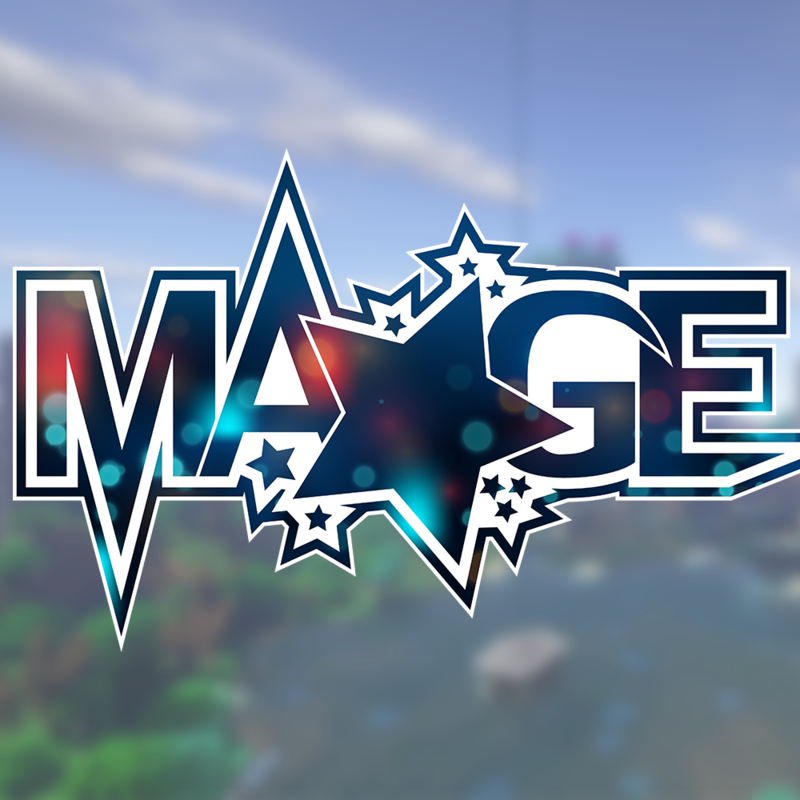 Minecraft "Mage" is designed for the similarly named YouTube project in which a lot of German YouTubers are playing together. All earnings of Curse will be Donated to Gaming Aid. The goal of the Modpack is to recreate a Hexxit like experience. Pretty much all you favorite Mods are back or replaced by similar ones! Explore the world with a lot of new generation like better villages, trees, ruins, ships and so on! Defeat bosses and find amazing loot in epic dungeons and battletowers. A lot of decoration and building Mods give you the opportunity to create stuning buildings. Exploring dungeons and defeating bosses helps you get better equipment and progress further. A huge varity of magic mods help you get more powerfull and hopefully make it easier to explore, loot and fight! If someday you are done exploring everything in the overworld, there are still a lot of other Dimensions like the Twilight Forest or the Aether waiting for you! Hi, any plans to put a new version of this mod out to pick up the latest (probably final) stable releases of the 1.12.2 mods? At the moment there's a serious issue with the version of Thaumcraft in the 1.3.7 pack which causes all kinds of client crashes in multiplayer near monsters from various other mods. is the Modpack in zombie state since the project ended or will there be any updates? I only wanna know. Man, is it only me trouble to find any damn green simple minecraft slime or not? There are only blue slimes in the overworld, and Tinker's wordgen only blue-slimed islands. Need help! on these slime Islands you'll find trees of green slimes where the logs would be. The leafes are of a different color (can be purple) and drop slimeballs and saplings of their color. Thx for replying, but i found my own way - i messed with Reliquary config files and enabled crafting recipe for its magic drop stuff. Originaly I was wondering about slime pearl which drops specifically from green slimes, so... done! :) But anyway thx - didn't know about Astral Sorc. unfortunately you'll have to do it all by yourself. EDIT: seems like there are providers that install it for you when you rent a server at them (sry bad english). It appears Wizardry and some other mods need updating, and I have recently been crashing upon quickly moving the mouse in my inventory. I just wanted to check if this was a known bug or if it is just a result of not a good enough computer. Other than that this modpack is pretty awesome. 1.Place down a simple chest where you can place fire/lava around. 2.Hover over another item (don't get near that damn scroll, bug known here too well too) hold down spacebar and click it, it will move your complete inventory to that chest. 3.carefully avoid the scroll while moving the other items back into your inventory. 4. when there's only the scroll in the chest left, stand a few blocks away, destroy the chest and use fire/lava to watch it burn. So whenever I use the Thamometer I drop frames hard, anything i can do to fix this? Hi, is there any chance of creating a server package? Please help, this is the first server I would be able to play with them in a long time. In the stacktrace there's evilcraft being mentioned, also i saw in the other logs that you're using harshencastle (not included in current MP version). Try setting up the modpack with current mods/configuration and delete the harshen. Also you could try going for antoher version of forge. The newest update 1.3.7 fixes the error 270977. Harshen Castle mod was removed. i love the mod pack, but would like to make a suggestion. I absolutely love the minecolonies mod. Could you add this to the official mod pack? I think it would be a great addition! Thanks. Ars Magic’s was also a mod I was surprised to not find. You'll have to go with Wizardry (not to confuse with "Runes of Wizardry", also in this pack) and Thaumcraft. I can only guess there's some legal or technical issue with that mod for it not to be included.